Antipole, which emerged in 2011 on DSiWare, was a run 'n gun platformer with a gravity-inverting twist that fueled its fighting and puzzle elements. You also got to play as a red-clad, robot-destroying mercenary named Johnny Hurricane, which is way '90s cool. Developer Saturnine Games has announced that a remake of Antipole will be making a return to both the Wii U and 3DS eShops this coming future. 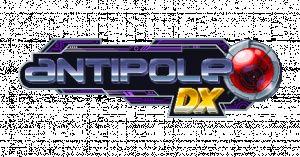 Dubbed Antipole DX, the remake is said to feature a number of upgrades. In addition to fully remade graphics and sound, the original levels will be retooled and all-new ones added. The game will also take advantage of online capabilities with Miiverse support and and a leaderboard built around speedrunning. Saturnine is currently hoping for a simultaneous release on both platforms this summer. In the meantime, you can compare a few new screenshots to the original title to see how things are shaping up. 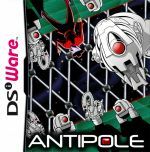 We enjoyed Antipole's platforming and/or hate robot invaders, giving the DSiWare title a favourable review. The deluxe version might end up being one to not let escape your gravity. Did you play the original Antipole? 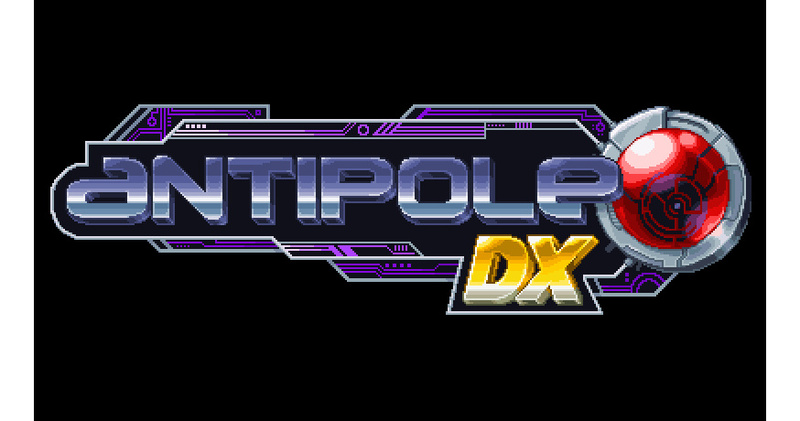 Are you looking forward to Antipole DX? Let us know! I haven't played the original, so I might get this. I enjoyed it, though as I played it definitely had that budget feel based on backgrounds and the way the character moved. The screenshots definitely show a visual improvement. One of the games I hadn't downloaded so far. Maybe I go for this upgraded version? I loved it. (Though I agree with @Klimbatize that it had a "budget feel.") It seemed like a fun little timewaster at first, but it ended up being one of the few DSiWare releases that I bothered to 100%...and then replay. Looking forward to this. Funny I was looking at the original in an old Nintendo Power magazine I have and was thinking to myself, they should remake this game for 3DS. This all happened 2 days ago. Weirdness. I'll echo the comments of both @Klimbatize and @Phillip_J_Reed (because i agree and they are both awesome guys who share space in my brain). This is a game i had a lot more fun with than i expected, and played it a lot more than i thought i would have going in. I'm on board for a remake, and i think the extra polish (both graphically and otherwise) should turn a very good game into a truly great game. Also, i always choose to pronounce the title so that it rhymes with Sophocles's "Antigone". Because i'm cool like that. The sprite are looks pretty sweet there. With that kind of praise how can I say no, looks like something that would have been at home on the SNES or PC Engine! Never played the original, noticed the announcement in Miiverse and it does look interesting. A good 2d platformer/shooter is always welcome. Reminds me a bit of Blizzard's old Blackthorne, now that was a great game. The original was awesome. I'll definitely be buying this. Nice! Excited to play this. Looks like Metal Storm, which is a game I always wanted to own. I'll keep an eye on this one. Good game, improving the animations will go a long way to overcoming the "budget feel." Fun for speed running, too. Leaderboards will be appreciated. I have not played or even heard of the original, so I'll keep an eye out for this. Also, Johnny Hurricane? Sorry, but that character is clearly Carmen Sandiego.